Under Erdogan’s brutal regime, Turkey’s democracy derailed, innocent people are tortured or even killed in prisons. Those who wish to flee Turkey have a challenging journey to take, likely to end up in death. Here is the story of Maden family. They were charged with terrorism and involvement in the 7/15 coup attempt. They chose to leave their country. Last year this time the family was drowned in the Aegean sea. Here is their story. Victims of Erdogan’s regime are increasing every day, as there has not been an effective mechanism to prevent him. On February 13, Turkish media reported that Turkey’s Disaster and Emergency Organization (AFAD) found the bodies of three, including two children, near the Border between Turkey and Greece. Eight Turkish nationals, including three children, two women, and three men tried to get to Greece by crossing the Meriç/Evros river using a rubber boat. The rubber boat was capsized, and two children, estimated to be around 11 and 3, and their mother drowned. The names of the dead were identified as Ayşe Söyler Abdurrezzak, and her children Abdulkadir Enes Abdurrezzak (11) and Halil Munir Abdurrezzak (3). The rest of the people that were in the same boat are missing. Ayşe Söyler Abdurrezzak, a 37-year-old teacher, and her husband were dismissed from their job due to crackdowns after the failed coup attempt. Doğan family was also accompanying the Abdurrezzak family. The members of the family, Fahreddin Doğan, his wife Asli Doğan and their 2.5-year-old son, Ibrahim Selim Doğan are still missing. Thousands of Turkish families have migrated to Greece from Turkey in recent year. Most of these families are sympathizers of the Gulen Movement. The Turkish government accuses the movement of being behind the 2016 failed-coup attempt. The movement denies alleged involvement. Since the alleged coup attempt, which President Erdogan defined as a blessing from God, Turkish democracy, and justice have continuously deteriorated every day. More than 150,000 people have been detained and nearly 60,000 people, including academics, judges, doctors, teachers, lawyers, students, and people from different backgrounds have been put in pre-trial detention. 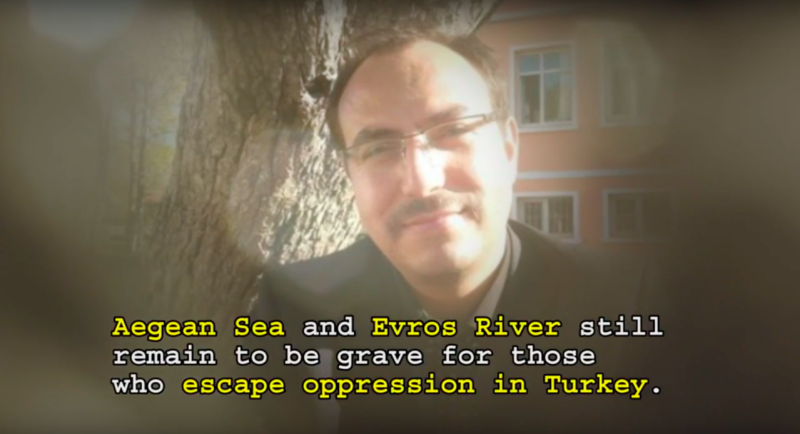 In November 2017, Hüseyin Maden, a 40-year-old teacher, who was also dismissed in the crackdown after the failed coup attempt, drowned along with his wife and three children while trying to reach Greek island of Lesvos. We, as the Advocates of Silenced Turkey, are calling all the international and non-governmental human rights organizations to raise awareness about the drowned Abdurrezzak family and also to take immediate action as regards the problems in Turkey to prevent other families and children from suffering as such. We hope the situation in Turkey will get better for those in Turkey and abroad who are oppressed by the ruling government of Turkey.